It's no secret that the Web is full of malicious content, but Google on Tuesday published some statistics that reveal just how breathtaking the scale of that danger really is. In fact, Google uncovers some 9,500 new malicious websites every day through its Safe Browsing initiative, according to a blog post from Google Security Team blogger Niels Provos. Not only that, but between 12 and 14 million Google Search queries every day return results that include at least one hacked site, Google says. A full 300,000 downloads per day, meanwhile, get flagged with a warning through Google's download protection service for Chrome. The details behind some of these new statistics are illuminating. In the realm of phishing, for instance, many attackers continue to emphasize online commerce sites like eBay and PayPal, Provos noted. Their methods, however, are becoming more creative and sophisticated. 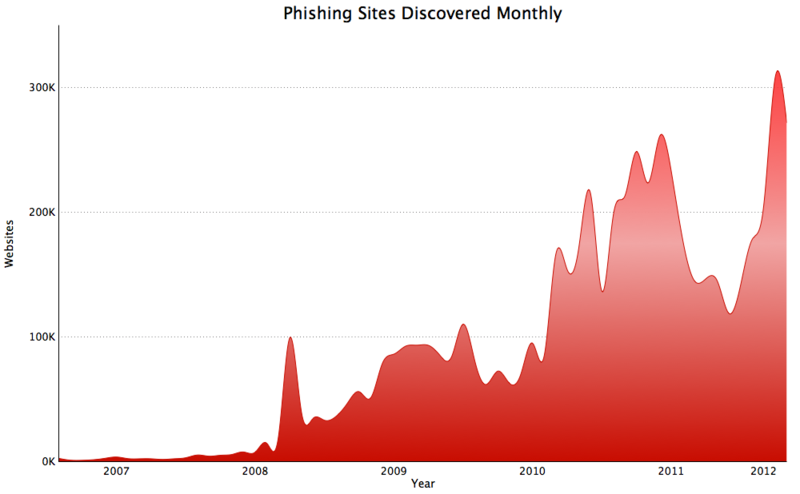 Many phishing sites remain online for less than an hour so as to avoid detection, for example; such sites are also becoming more diverse and are increasingly used to distribute malware, he added. Focusing on malware, Google's Safe Browsing effort identifies two kinds: legitimate sites that are hacked on a mass scale to deliver or redirect to malware--often via “drive-by downloads”--and attack sites that are specifically built to distribute malware. “As companies have designed browsers and plugins to be more secure over time, malware purveyors have also employed social engineering, where the malware author tries to deceive the user into installing malicious software without the need for any software vulnerabilities,” Provos explained. “Fake Anti-Virus” alerts, for example, masquerade as legitimate security warnings even as they infect the user's computer with malware. Socially engineered attacks are not yet as common as drive-by downloads, but they're “a fast-growing category likely due to improved browser security,” Provos said. Google sends thousands of notifications every day to webmasters and Internet Service Providers, and its Safe Browsing effort currently helps to safeguard some 600 million users through built-in protection for Chrome, Firefox, and Safari. Still, the company urges users to help by taking its warnings seriously when they come across one, and by helping to identify bad sites such as by selecting the check box on the red warning page in Chrome. Website owners, meanwhile, should register with Google Webmaster Tools, the company says. “Doing so helps us inform you quickly if we find suspicious code on your website at any point,” Provos explained. For the future, Google's Safe Browsing team is now working on instantaneous phishing detection and download protection within Chrome; Chrome extension malware scanning; and protection for Android applications.